This article, appearing in the W1 District Newsletter, and credited by PDG Bill Robertson to Lion David Trivett, is a great read if you are looking for ways to keep happy members in your club! Ninety per cent of leadership is the ability to communicate something people want. Retention is an important issue for all clubs if a club wants to maintain its service to our communities. If a club cannot retain its current members, as well as induct and retain newer members, it will not remain viable in the community. In order to practice good retention, a club must first understand what retention is. Many members who leave within the first two years do so because they were not fully informed about the responsibilities of membership before joining or fully educated about this after joining. Many have trouble meeting the attendance requirements and financial expectations. Still others feel unconnected to the club’s activities and their networking expectations aren’t being met. If a club loses many members within the first two years,a focus on new Lion’s education and new member orientation should be sought. 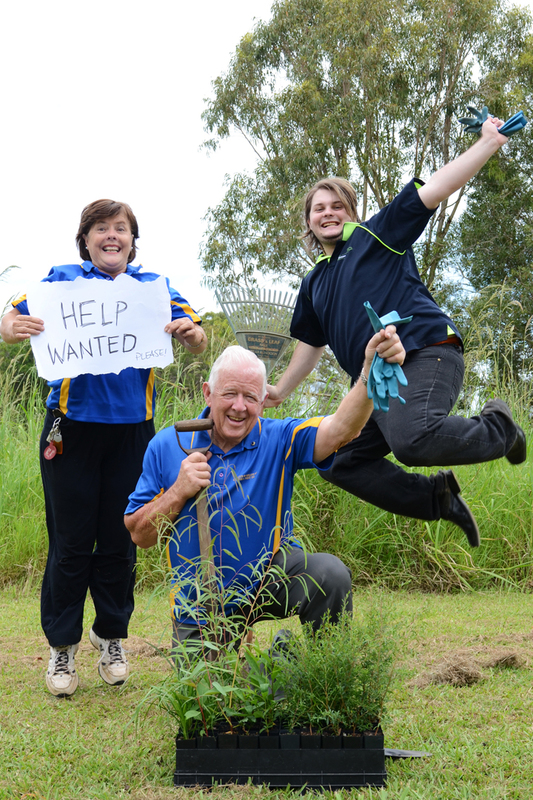 Contact the District Membership team who will endeavour to assist and establish a re-training program for that club. Make sure prospective members are fully informed of the responsibilities of membership and club programs. Establish an effective new member orientation program, and encourage new members to get involved in club activities and projects immediately. Conducting professional development events and pairing younger members with older mentors might help address new members’ networking expectations. Many members who leave after spending two to three years in a club do so because they feel unconnected to the club’s events and activities and their fellowship expectations aren’t being met. They also have difficulty meeting the attendance requirements because of competing priorities. TRY TO...Encourage members who have been in your club for two to three years to get involved in more club committees and take on more club leadership positions. By being more involved in the leadership of the club, these members will feel more control over and connection to the club’s activities and will have more incentive to meet the attendance requirements and keep Lions as a top priority. They may also have ideas for revitalizing the club’s fellowship activities. Many members who leave after spending three to five years in a club do so because their fellowshipexpectations aren’t being met and they are frustrated with the club’s leadership. Others have difficulty meeting the attendance requirements because of competing priorities. TRY TO...Encourage members who have been in a club for three to five years to get involved in the highest leadership levels of the club (President, Secretary, Treasurer and Membership Committee). This involvement will help them feel more control over club activities and more connected to club members. Those who have already been involved in club leadership might be interested in participating in more district-level activities. Also consider focusing on continuing member education or revitalizing club activities with a community needs assessment so that members remain engaged in the club, excited about attending each week, and satisfied that their fellowship expectations are being met. Some members who leave after spending 5 to 10 years in a club note that their fellowship expectations weren’t met and they were frustrated with the club’s leadership. Others leave because of retirement and relocation. TRY TO...Encourage members who have been in a club for 5 to10 years to get involved in more district activities. Perhaps they would be interested in helping to plan the district convention or serving on a district committee? District involvement might help them meet more people and experience Lions beyond the club level. Involvement in interclub projects also may be an advantage as new friendships and skills are made and shared. Many members who leave after spending more than 10 years in a club say they aren’t interested in the club’s current programs. Others leave because of retirement and family obligations. Many also leave because of financial constraints and health problems. TRY TO...Encourage members who have been in a club for more than 10 years to take on more leadership positions at the district level (VDG Governor, District Governor, District Committee or Zone Chairman). Retired club members might have more time to take on the responsibilities of a district position, which in turn may help to reignite their passion for service and Lion’s interest in all programs. The club may also want to consider easing some of the financial expectations for the members of this tenure group who may be under financial strain because of retirement or other factors. If many members are leaving because of health problems or death, consider bringing in younger members to keep the club active. Can you recognise your club in this publication? What can or what are you going to do about it? Start today otherwise we may lose more good members. Your district has a Membership team that is waiting and willing to assist your club. Point your new members towards the “Thinking about joining Lions” resource to help them make an informed decision. Thanks for putting this out there as a few of us discussed this at our meeting tonight. It will give us some food for thought, on how to motivate ours members. Nice one, Rodney. Good luck! This link was forwarded to me by Margies Regional Officer of the Penguin Club Australia, they thought that the ideas for retaining members were detailed in a very simplistic manner and would be very useful for the smaller aged clubs. You knoe my thoughts on membership and the Lions best kept secret so I will will continue to stir the pot and hope that eventually we will open conventions for one day to the general public to learn about Lions. Thanks Bryan. Hope things are improving for you. The more thinking and talking about our organisation’s future, the better! Complacency is the killer.